The internet and social media are so powerful. Without overlooking the advantages of the internet as an unlimited source of knowledge as well as platforms to interact with people beyond one’s own neighbourhood, most people are not aware of the tremendous impact the internet has in influencing the way the religion is spread worldwide. The 9/11 tragedy, for instance, despite having birthed hate and phobia towards Islam — which resulted in a global Islamophobia — it also sparked an increased curiosity towards Islam so immense that some US citizens who Googled Islam to know more about it and study it ended up embracing the truth of Islam. Today, with the blessing of the internet, the gate to discover Islam is now virtually accessible everywhere. In this virtual world, the Muslim community is a group of warm and happy people, all cheerful and eager to welcome you to know more about them and their religion. In this supposedly ideal virtual world, Muslims will present to you the most pleasant of greetings and guide you step by step through this new life you have chosen to embrace. Or, do they? What happens then when the envisioned ideals do not match the expected reality? There is no doubt that the information about Islam is everywhere: just key in your enquiries into the search engine and the answers will be there for you. However, depending on the issue or topic, you may need to browse a handful of websites and filter the results cautiously before arriving at an explanation that best suit your level of understanding. The issue is: not all resources in the virtual world are self-explanatory to the Muslim reverts. Or to put it bluntly: the contents on the internet that are conveniently tailored for most reverts are far from sufficient, especially ones that address current issues within their community. As for the existing sites, reverts like you may face several challenges in exploring and digesting the contents published, be they in writing or in digital video form. This is because the contents might use religious terminologies that you are not familiar with before this. Some people are even fond of quoting the original, ancient and classical words without adequately elaborating them, expecting modern readers to already be accustomed to them. Not all born-Muslims bother about the whys. The truth is, by being a “born-Muslim”, one has the tendency to become complacent and feel safe inside the comfort zone of their own Islamic environment. WIthout knowing why they were born Muslim and why being a Muslim comes with responsibilities, born-Muslims do not feel there is a need in exploring further about their own religion. It is a different story altogether for other people who have embarked on many arduous journeys of the spiritual quest before safely arriving in Islam. Because these people are looking for answers that would satisfy them, they are constantly asking questions. Some of the questions are very fundamental, orbiting around the universe of whys and why nots. These include the concept and role of God, the need for religion, the science-defying stories from the holy books, the differences among religions, and the purpose of life and afterlife. What we often don’t realize is that the answers may already be around us, be it online in the virtual world or even our surrounding in the real world. You just have to put an extra effort into extracting the answer from between the lines. If one can’t ask such questions to a fellow Muslim brother or sister, and one has to exercise caution in seeking information about Islam online, where then can a person go to for answers about Islam? Will all paths in search for the truth of Islam be this challenging? It took some people a remarkable journey to finally embrace the true religion. While stepping into Islam in a predominantly Muslim country sounds pretty advantageous, sometimes the reality of things can be far from what one expects. It seems that some Muslims online are more concerned with picking fights and debates about matters that are frivolous and often times, these supposedly debates are done in a hostile manner. These aggressive and confrontational virtual fights are not the ones you want to get yourself involved in, especially where some Muslims usually barge into the discussion with improper manner, for usually, they result in nothing but a waste of time and effort. Most of the debates are actually about declaring their way is the best way of practising Islam, not between the great truth and the blatant falsity of the religion. It would be much better to look at the challenges previously mentioned as nothing other than a way to strengthen your religious journey and make each of your steps matter. 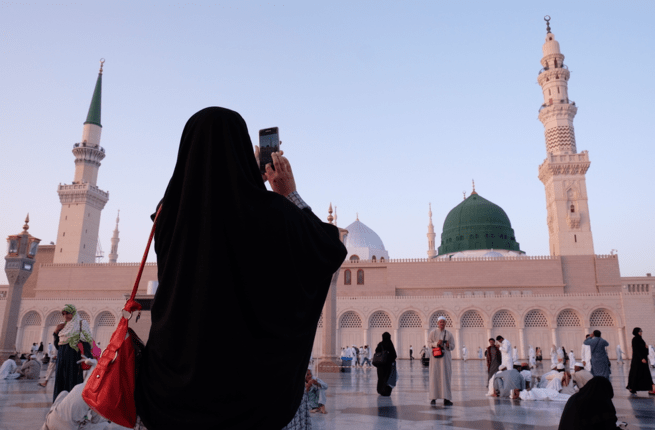 With the help of social media, some concerned Muslims are proactive in creating a virtual, revert-friendly Muslim community via groups or channels. What is great about this initiative is the needs of the reverts, i.e., their enquiries and curiosity about Islam could be addressed more efficiently and promptly. This is interesting too! Read also about Should We Muslims Ignore The Wildfire and Focus on Avoiding The Hellfire? Also, since social media serves as a platform for interactive communication, you could receive a lot of moral and knowledge support there, with the former being important to survive through the ups and downs. Apart from that, this virtual community extends beyond the borders of other countries. In addition to that, one may also create local groups to arrange meetups and activities within the community efficiently. It is also worth noting that the algorithm for most social media platforms plays an important role. It assesses a user’s background, interest and online-surfing behaviour and comes out with the best content tailored to that user’s needs. If only the pattern and content of interaction between the reverts in this virtual community are given undivided attention and studied thoroughly, Muslims could learn a lot about empowering reverts both online and on the ground, don’t you agree? The advancement of social media technology could open up new opportunities too. We hope to see more features that could benefit the reverts in the future. Through this virtual world, one thing can be achieved by both born-Muslims and revert Muslims —the idea that ‘Muslims are but one body’ has now become a step closer to reality. However, it would require more than mere words to make this dream come true. Actions and collaborative effort are required for a ‘body’ or a family means no one — be it the born-Muslims or the welcomed reverts — would be left behind in the pursuit of eternal happiness in this world and the hereafter.